Designed to help your bedroom reach its full glamorous potential, the Tamsin Collection's unique attributes blend to create a stylish and functional addition to your lifestyle. Mirrored framing provides dramatic enhancement to each piece in the collection, while LED back-lighting, from the vertical headboard panels and mirror, illuminates and highlights the silver-grey metallic finish of the collection. 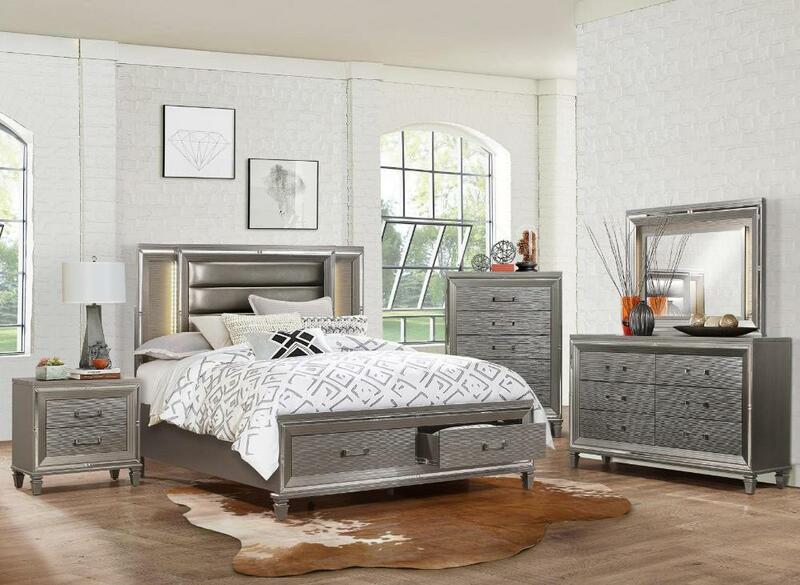 Acrylic hardware provides unobtrusive decorative touch to the drawer fronts of the case pieces and storage footboard, with the metallic silver bi-cast vinyl-covered padded headboard insert, lends decorative contrast to the finish of the collection. Hidden jewelry drawers in the dresser create discreet storage space for your fancy accoutrements. Also providing functional display to the collection is the available vanity. The mirrored front paired with drawer storage creates the perfect platform to prepare your glamorous self. 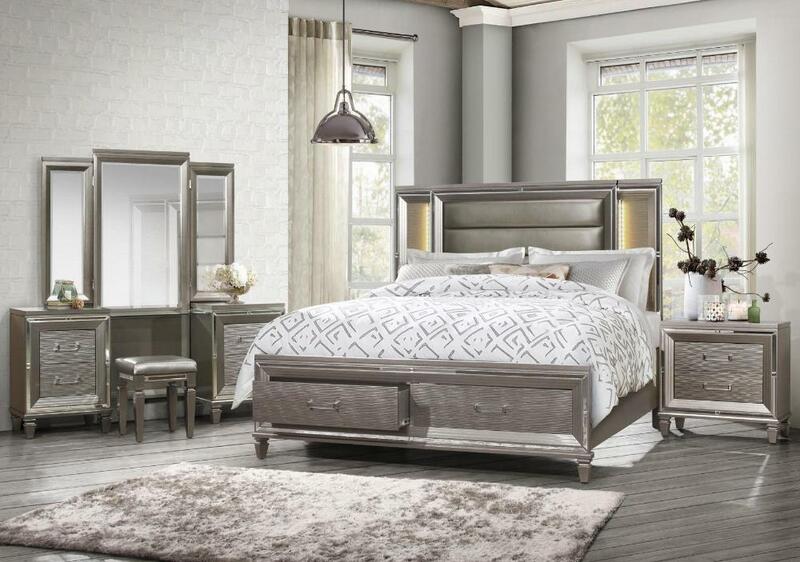 FEATURES: Silver-Grey Finish ~ Contemporary / Modern Style ~ Bi-Cast Vinyl / Padded Headboard Inserts ~ Footboard Storage ~ Headboard & Mirror LED Lighting ~ Acrylic Pull Hardware ~ Discreet Storage Space ~ Dovetailed Drawers ~ Ball Bearing Side Glide.